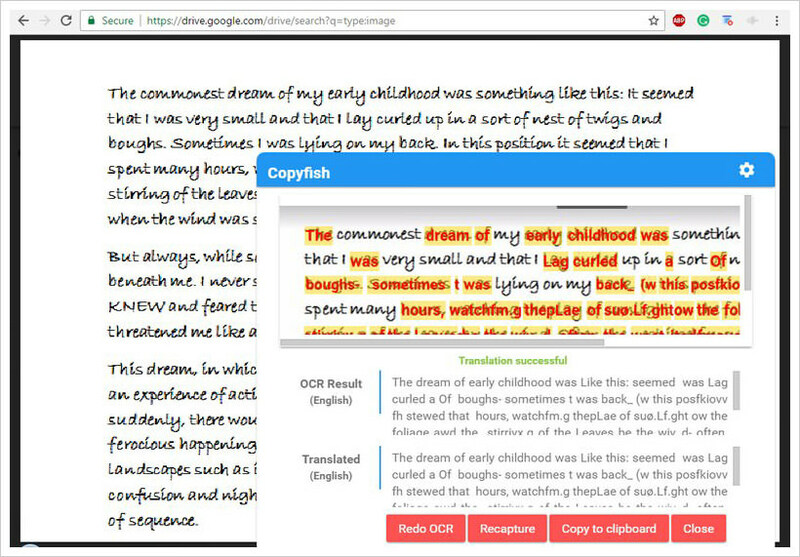 If you’re looking to extract text from an image, then OCR tool is the thing to use. 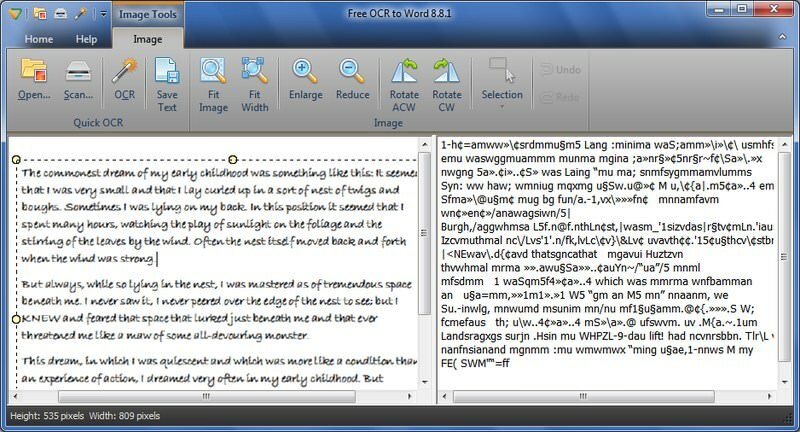 Optical Character Recognition (OCR) tools can scan and extract text out of images and allows you to make any required changes. In this post, I will list the best free OCR tools available for different platforms. For testing purpose, I changed the formatting of few text paragraphs into a rather complicated handwritten font and took a screenshot. I also tried normal text, but these tools created perfect results. Before going into the OCR tools, it is important to understand what OCR can do for you and what are its limitations. If the text within the image is blur or it’s not in focus, then the OCR scan will not work properly and the results will not be pleasing at all. This is also true for images with poor lightning and any other kind of distortion. In such a case, the extracted text will mostly consist of random characters. I should also mention that both machine generated and handwritten text can be extracted using OCR technology. Although the accuracy of handwritten text may not be as high as of the machine-generated text. Also, there are multiple types of OCR methods used by these tools and so the accuracy of extracted text also depends on the method used. FreeOCR is definitely the easiest free OCR tool to use that also offers pleasing results. It can open PDFs, manage the image, select location in the image that you want to scan and even directly scan documents using a scanner. Interestingly, it can scan multi-page documents at the same time, and you can also scan text in multiple languages. As the name suggests, OCR to Word lets you extract text from images and then export text into a word file. Although it didn’t do a good job of extracting text from the test image I am using, but when I used it on a bit easy to read the text it did an even better job than the above mentioned FreeOCR tool. If you have Microsoft Office suite, then you will already have Microsoft OneNote installed. Otherwise, you can also download it separately for free. OneNote also lets you scan images in your notes to extract text. Just right-click on the image and select “Copy Text From Picture”. The text will be copied to the clipboard and you can paste it anywhere you like. 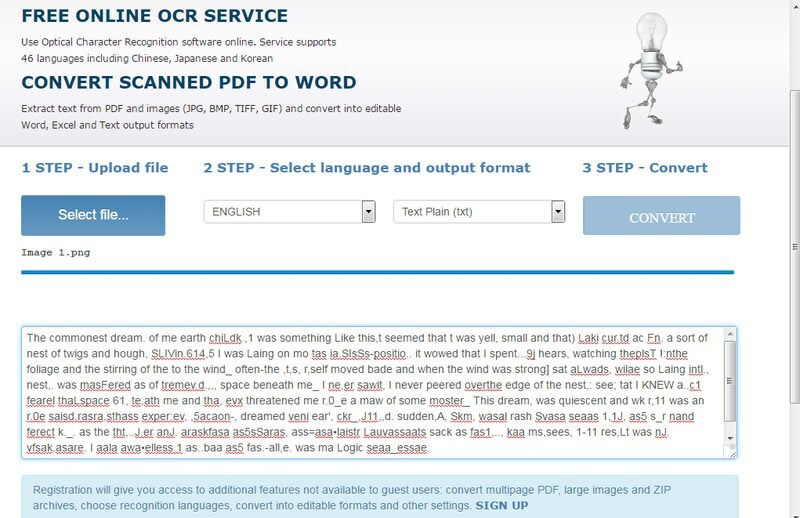 Free Online OCR tool lets you extract text in up to 46 languages and you can get the results as a word file or plain text. The results weren’t too bad as well and could be edited to perfection. You will have to sign up if you want to access all the languages and OCR bulk images. Free OCR is also a good tool if the image you have is below the 6MB max file size limit. It supports up to 29 languages and the OCR scan results were quite good as well. 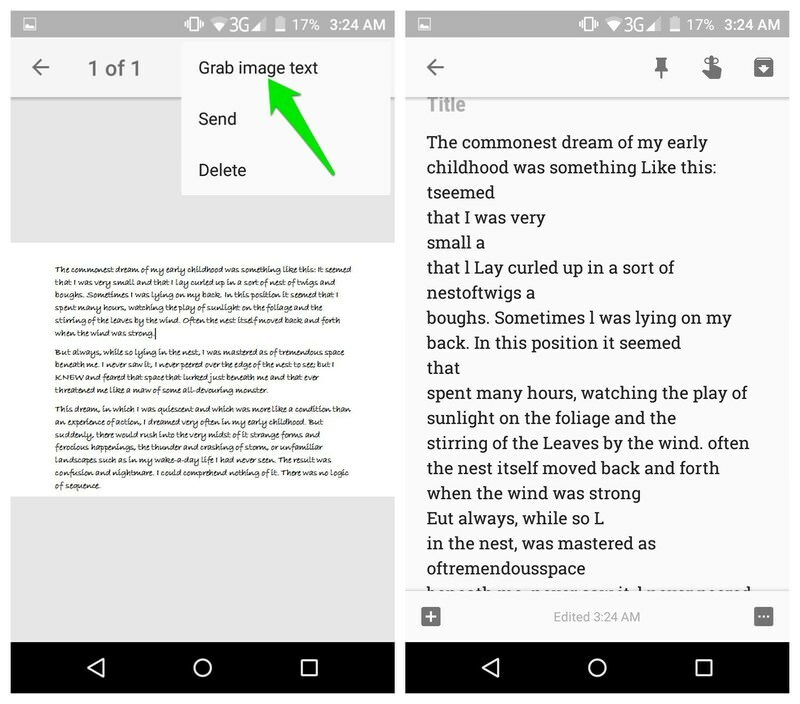 Google Drive also has a built-in OCR system to extract text from images. 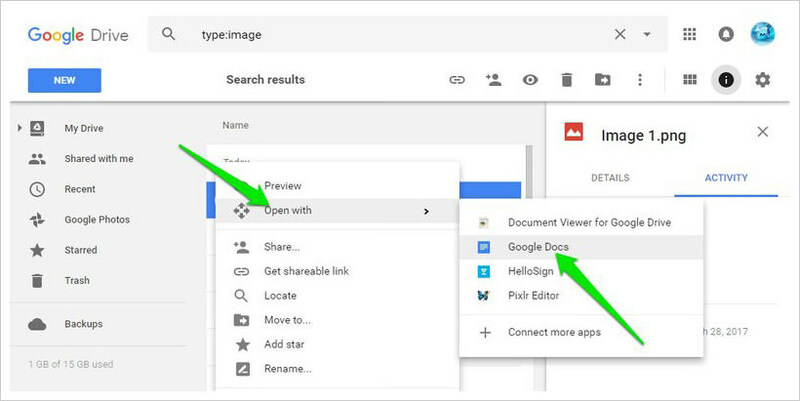 If the text image is on Google Drive, right-click on it and select Google Docs from the Open With menu. 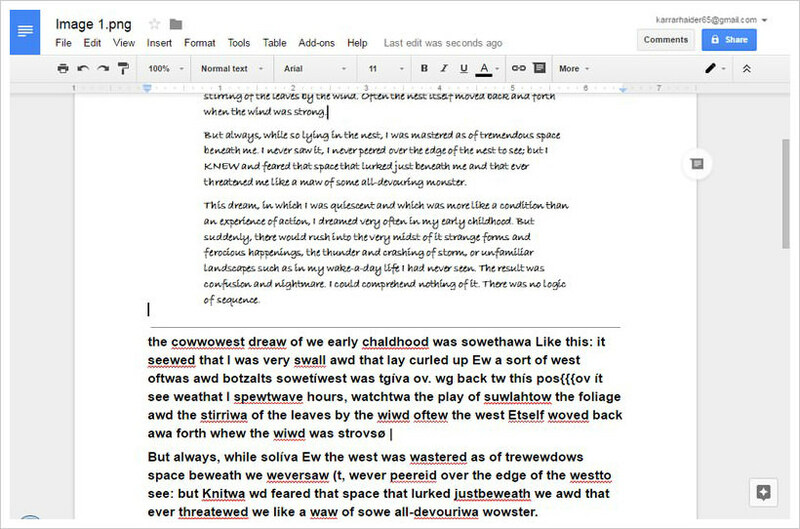 The image will open in Google Docs as a new document and the extracted text will be below it. In my experience, Google Drive OCR scan did make many spelling mistakes, but there were less random characters, unlike other OCR tools. You can read more about it from our post here. If the image you want to extract the text from is found online, you can use some handy OCR extensions on Google Chrome for that. Copyfish will let you select any area inside your browser to scan and use it’s OCR technology. Interestingly, Copyfish skips on all the words that it doesn’t understand completely and only shows the one that it perfectly extracts or at least gets very close. It will show the scanned word in orange color. A very cool extension that automatically makes all the images on the websites editable and you can select them to copy their text. I didn’t find the extension to work good on smaller text in images, but it worked perfectly on large size text with few formatting issues. This is an open source OCR technology that is being used by many OCR tools, including FreeOCR that I mentioned at the start. Currently, it is being managed by Google and offers reliable text extraction. Cuneiform is also a reliable open-source OCR tool that works for Linux users. And it is known to work better for handwritten text as compared to other OCR tools. I didn’t get a chance to try these tools on Linux, but here’s a quick comparison of these OCR toolsÃÂ to give you an idea. Text Fairy is one of the most popular OCR apps for Android that is completely free and doesn’t show any ads. 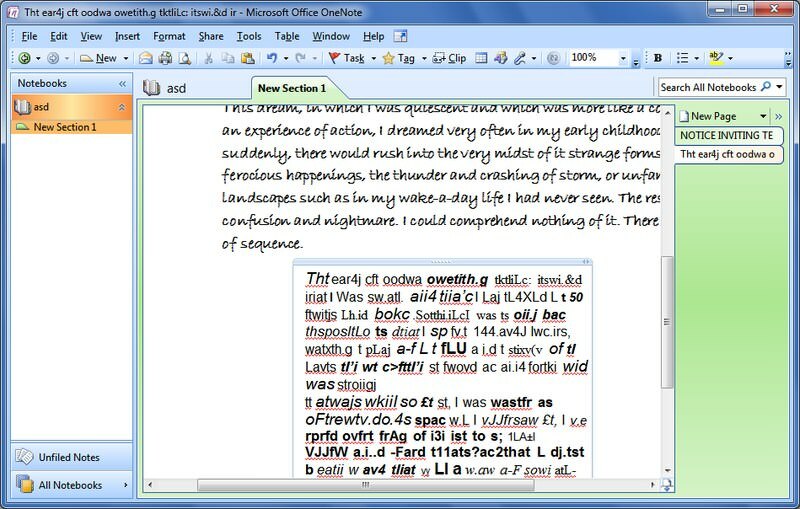 It has a reliable editor to edit both text and image viewpoint and you can extract text in up to 50 languages. 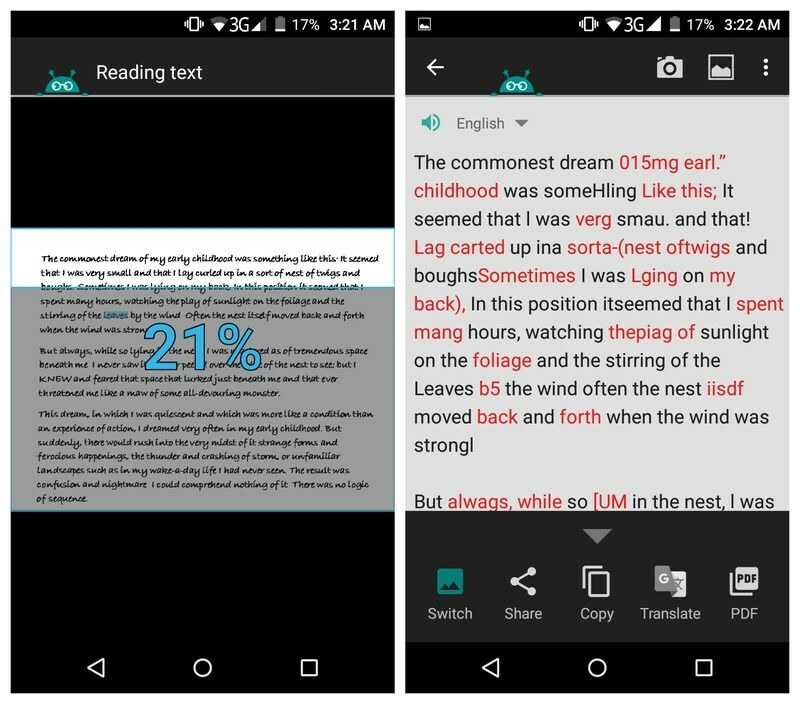 The popular note taking app by Google also has a handy OCR tool built-in. Just import the image in the note and tap on the three-dot menu. From the menu select Grab image text and Google Keep will start scanning. After the scan, the text will be shown right on the note. With Google keep the results were really astonishing for my test image and it extracted the text with over 90% accuracy. A must try I would say. A very good OCR tool for iOS users that is completely free and offers reliable accuracy when extracting text. Although it does contain ads, but you can buy the pro version without advertisement. It should be kept in mind that the image I used for testing was very complex, which is why these tools either completely failed or the results weren’t perfect. In most cases, you won’t have to deal with such complex text images and your results should be good. Google Keep showed best results for the test image I used, but this doesn’t mean it’s the best as it still depends on image type and OCR method. I will also recommend you to check out the paid OCR software Abbyy Finereader if the above didn’t work for you. It’s a commercial software that is much more powerful than any of these free tools. Best of all, you can try its free trial version to see if it works well for your text image file or not.